With the advent of "alternative" operating systems (other than Microsoft's Windows) becoming more and more popular, buying two computers and/or dual booting has become an increasingly accepted way to explore multiple operating systems. 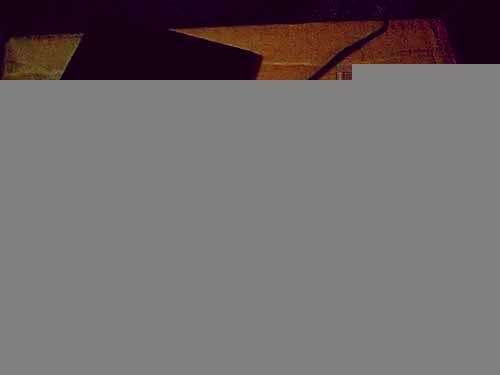 I built a second computer with the intent of making it a gaming/development computer and making the old computer a Linux server. The cheapest way for me to build two computers was to share the keyboard, video, and mouse (hence, KVM) between two computers. 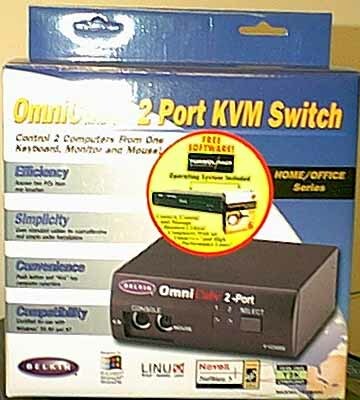 My only previous experience with KVM switches was at an ISP. They were sharing eight severs per monitor. The KVM switches were really fancy and expensive, which is fine if you're going to be serving the internet to tens of thousands of folks. However, you're not going to need a little on-screen display telling which computer to use when you only have two computers to begin with. This is where a small KVM switch comes in extremely handy. 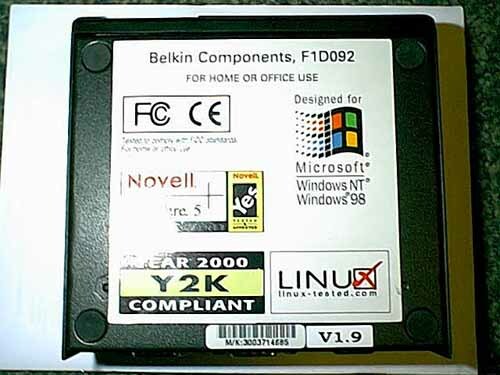 Included in the box was the KVM switch, one manual, two strong pieces of adhesive Velcro, a copy of TurboLinux 6.0 Lite, and the 9 Volt AC Adapter needed to run the KVM switch. The software was a nice surprise. 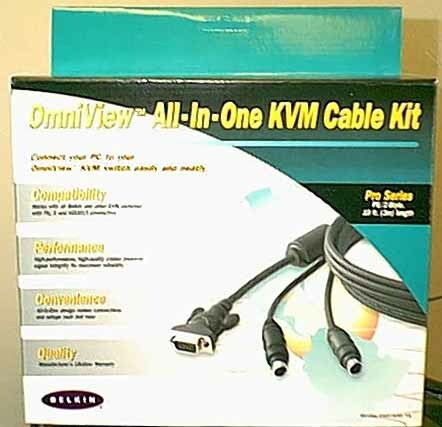 I did not expect software to be packaged with a KVM switch. 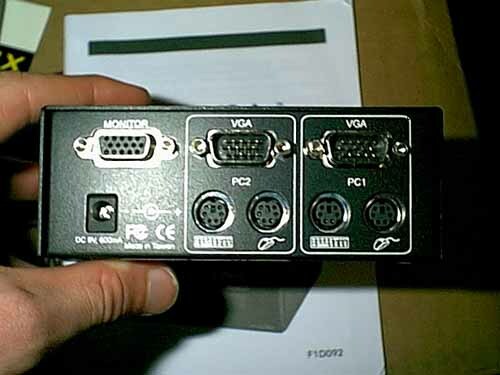 This is a joint review of sorts, as you pretty much need two sets of connecting wires to connect the two computers to the KVM switch. 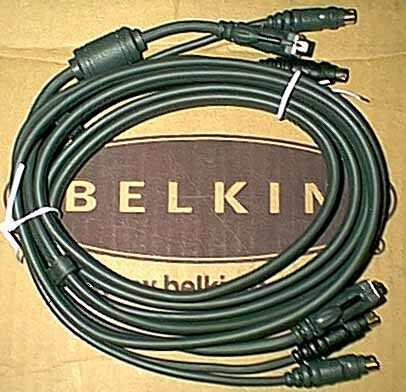 Belkin supplied me with two boxes of cables, as there is only one set of cables per box. So, remember, if you plan on picking something like this up, you're going to need two boxes of cables. Installation was a breeze. I did not need to look in my instruction manual in the slightest. However, I did peruse through the manual. It is a pretty good little manual for its size and it does its job completely. 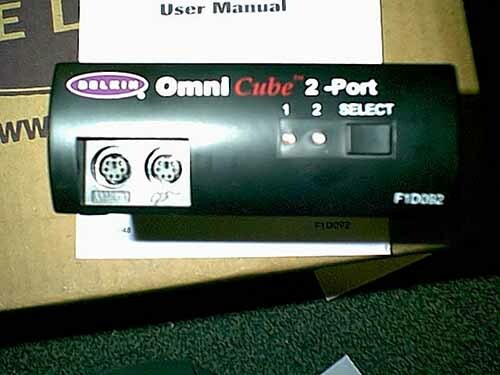 Fortunately, all that the installation entailed was installing the two sets of cords into their respective spots in the back of the KVM switch and then into the back each computer. It is as easy as that. Now that I have it setup and ready to go, I'll see how it works. I tested it pretty thouroughly, testing its compability with four different operating systems.